If you don't have unlimited funds but want to travel to a tropical oasis, you're in the right spot! Traveling isn't as intimidating as it sounds when you plan for it. I put together a quick 4-step process & detailed itinerary so you can follow my exact footsteps. You will NOT be disappointed! Keep in mind our itinerary is for two, but you can easily do this alone. Keep reading for all the juicy details from my personal experience, like where exactly to eat, best photo op's, names & instagram handles of local photographers who can shoot amazing content for you, and.... the big surprise! 1. Create a spreadsheet in Google docs. We got the cheapest deals because we booked ours through Cheap Flight Now. You can get $15 off if you use Code CFNJUL04 until July 4th! I've linked it for you below. Decide which areas you want to explore and find a place to stay thats within walking distance or short public bus ride to your activity. We used One Travel to book our hotels for a great price. Better to book in advance, but they have great rates for last minute travel plans as well. Use Promo code LM30 to get $30 OFF! We brought Carry-ons only to avoid having bags lost. But if you're deciding to check your bag over seas, I would highly recommend getting travel insurance, which you can get when you book your flight. We mostly booked the activities when we arrived in each city. But to be more organized and give you time to relax and unpack (especially if you're only spending a day in a city), the last thing you want to do is wander around looking for the place to book your festivities. For the most AMAZING zip lining in the world, white-water rafting, & Sky Trams, you can book your tickets here. What should you do first in Costa Rica? Jade and Gold Museum. Both are inexpensive and take 2 hours to see. Make sure to pick up a fresh empanada from La Empanada! Hike the Arenal Volcano- We did the night tour and saw just about EVERY animal there was to see! Ask for Wilmer (The local tour guide) to take you to the volcano + Hot springs & give you a Volcanic facial. He was what made the trip so magical! Hanging Bridges in the Rain Forest & Sky Trams. Dinner in the small town at the TREEHOUSE restaurant. 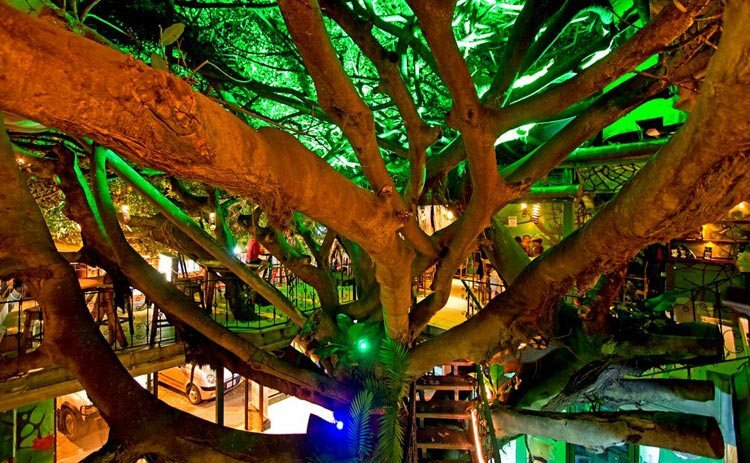 This place was magical and we literally ate dinner in a massive tree house with live music. We stayed at the Selina Hotel (Hostel with a ton of young travelers) Super cheap hotel: $145 for 2 nights per person and close to restaurants and beaches. Zip Lining (Best in the World!) 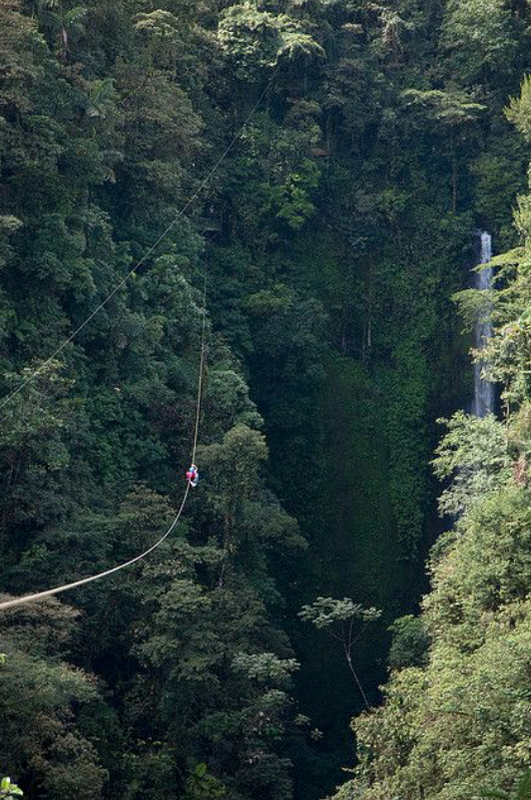 They have the longest, dual zip lining, where you can zip line next to your partner! It was a BLAST! Take the bus to town (20 minute drive) they have great restaurants. We ate at the Marina in the city of Manuel Antonio, and still talk about their Tuna Poke bowls! Visit the beaches in the park ($16 entrance fee per person) Pick up a fresh coconut, and get ready to see a bunch of monkeys, sloths, etc on the beaches!